To inspire millions worldwide to start selling. 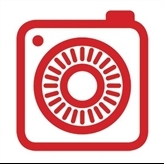 Carousell is the world's largest and fastest growing mobile marketplace, and a highly-rated iPhone & Android app that makes selling as simple as taking a photo. Backed by Sequoia Capital, Rakuten, Golden Gate Ventures, 500 Startups and other internationally renowned investors, the Carousell mission is to inspire millions worldwide to start selling. We are looking for talented, creative and motivated Software Engineers to join our engineering team. We welcome bright individuals that are lifelong learners, have an outstanding work ethic and a good team player attitude. You will be playing a key role in building projects across our entire technical stack and systems. You can read about the some of the problems we are facing our engineering blog: http://engineering.carousell.com/ Come join us if you want to work on these problems!